An immersive, atmospheric crime novel from the multi-million-copy bestselling author, Charlotte Link. Carla Roberts lives alone in the top of a highrise building, frightened by the sound of the lift stopping and opening on her floor, with nobody getting out. Days later, she's found brutally murdered. Meanwhile Samson Segal, an unemployed thirty-something, has taken to spying on his neighbors, particularly beautiful and successful Gillian Ward. It was late on Sunday evening when Carla was first conscious of a peculiar thing about the lift and its doors. At that point she did not have long to live, but her powers of imagination could not let her see what would happen to her that night. In addition to being a truly gripping thriller, The Watcher also offers genuine character development, as its central characters all evolve and grow as individuals even in the wake of the troubling events that bring them together. American readers can only hope that more of Link's work will soon be available in translation. (Reviewed by Norah Piehl). Starred Review. Link masterfully builds both character and suspense to a shocking extended climax in a snowy forest. Starred Review. Link builds a sense of menace in these chapters that makes the reader dread turning the page but keeps you up all night doing just that. Starred Review. This phenomenal, multilayered mystery offers plenty of psychological intrigue and suspense. Fans of psychological thrillers and dark mysteries will love this engrossing novel. 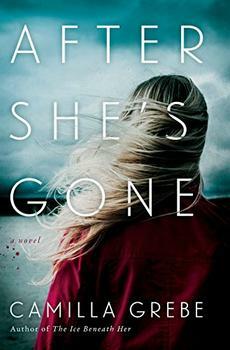 Brought together by a brutal murder, a psychological profiler who's lost her memory and a teenage boy with a fiercely guarded secret become unwitting, unlikely partners in this race to stop a killer. In the tradition of Patricia Highsmith's Tom Ripley novels comes a deliciously unsettling tale of psychological suspense that delves into the mind of a man with a chilling double life.